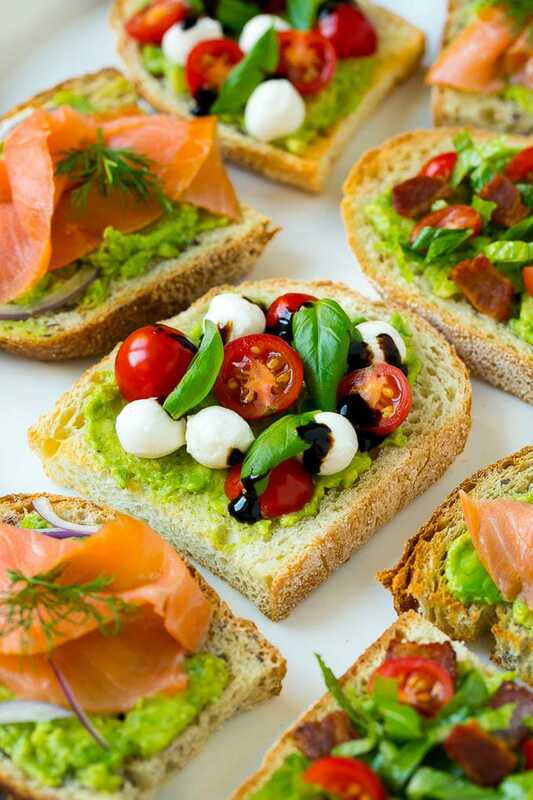 I love avocado toast, and lately I’ve started serving it at parties with different toppings as a fun appetizer offering. It’s always the first thing to go, people just love it and it couldn’t be any simpler to make! This post is sponsored by The Rustik Oven Bread. Thank you for supporting the brands that make Dinner at the Zoo possible! When most people think of avocado toast, they think of sliced or smashed avocado on a slice of bread. While that’s definitely considered avocado toast in its most basic form, I’ve dressed up this classic recipe by adding some fun toppings. My version of avocado toast makes a perfect appetizer or light meal for a party! The first step is to choose your bread. This is actually very important, because the bread you choose makes a big impact on the final outcome. 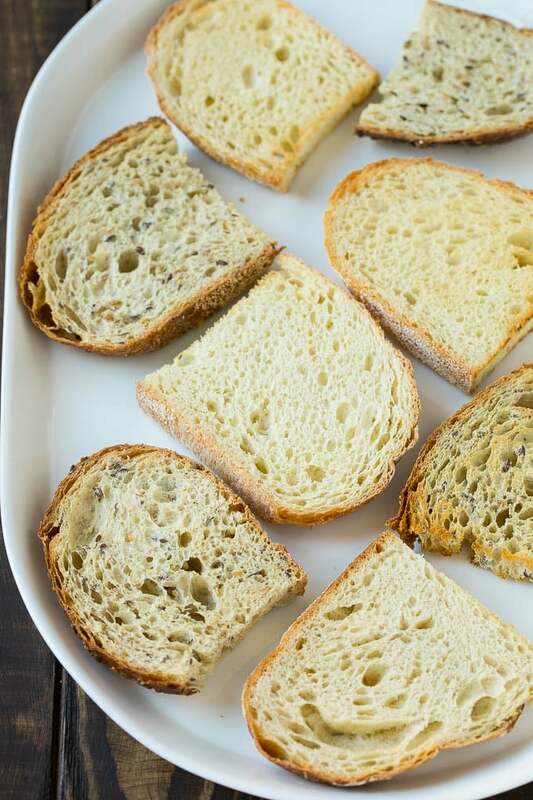 I love to use The Rustik Oven bread – it’s hearty enough to stand up to the toppings of this toast, and the flavor is excellent. I use The Rustik Oven bread for just about everything – it makes an amazing grilled cheese sandwich, I pack it in my kids lunches, and I even use it for French toast! 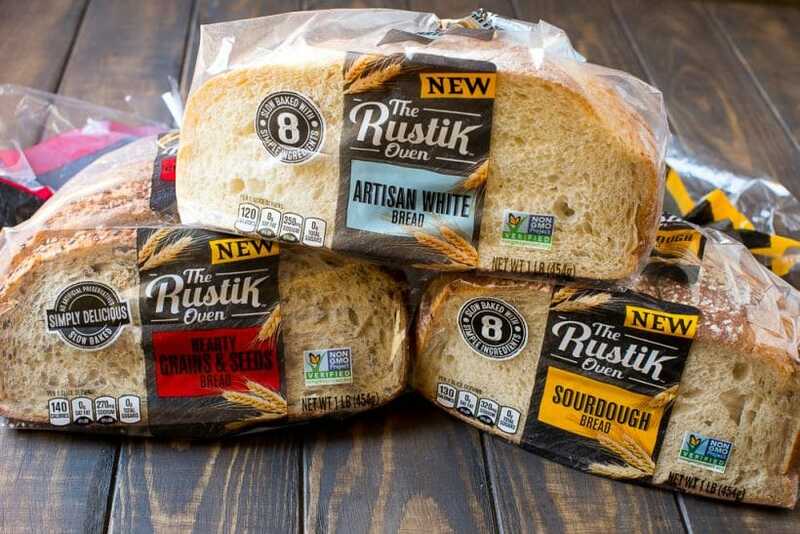 The Rustik Oven bread comes in three varieties, and I actually use them all by pairing the different flavors with different toppings. The variety is especially fun when you’re putting together a party tray! You want to toast your bread so that it’s lightly browned, and then you can start layering on the toppings. 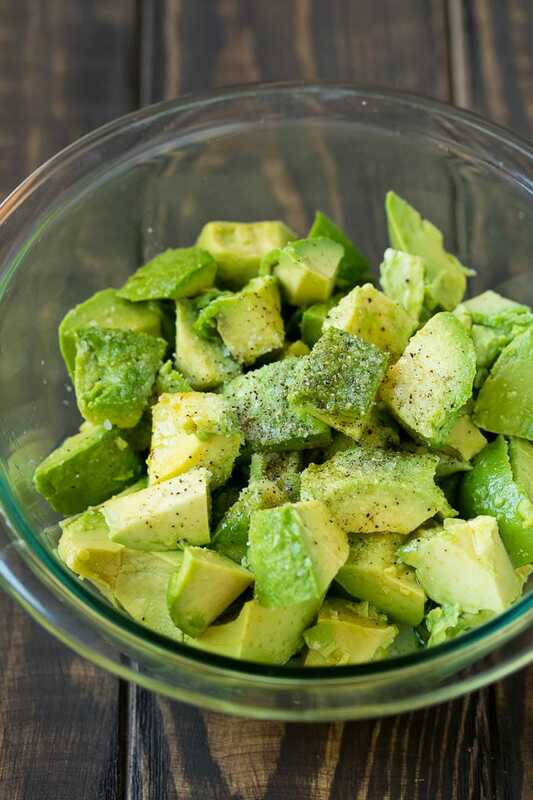 My avocado topping is a combination of ripe avocado, lemon juice, olive oil, salt and pepper. The seasonings really bring out the flavor of the avocado, and the lemon juice helps to prevent it from turning brown. 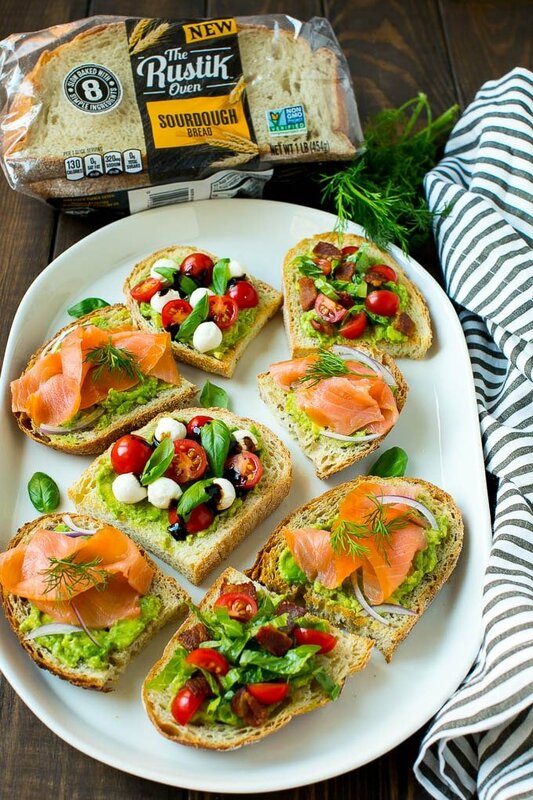 While you can absolutely just serve The Rustik Oven bread with the avocado spread on top, it’s much more fun to add some toppings to make your avocado toast party worthy. BLT: Add quartered cherry tomatoes, cooked crumbled bacon and shredded romaine lettuce. Smoked Salmon: Add thinly sliced smoked salmon, shaved red onion and fresh dill. Caprese: Add halved cherry tomatoes, fresh mozzarella balls, basil leaves and a drizzle of balsamic glaze. Avocado toast tastes best when served immediately after assembling. To save time before a party, you can prepare your ingredients ahead by cooking the bacon, cutting up the tomatoes and slicing the lettuce and red onion. While these three flavor variations are general guidelines, you can really create as many different varieties as you like! 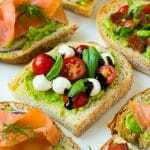 Other great ingredients to try on top of avocado toast are arugula, fried eggs, shrimp or other cheeses. Try this avocado toast for your next gathering as an appetizer, or serve it at a brunch. Either way your guests will be thrilled! Yum! I love avocados. On toast sounds like a very good idea. Especially loaded with all those goodies! My granddaughter loves avocado. She cries if it isn’t on her sandwiches, lol. She’d enjoy this toast. You had me at healthy and delicious. My husband would love this. This will disappera at home in no time. 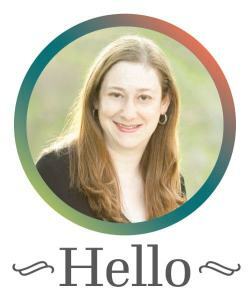 i’m emailing this to my husband. he loves avocado anything! Wow! 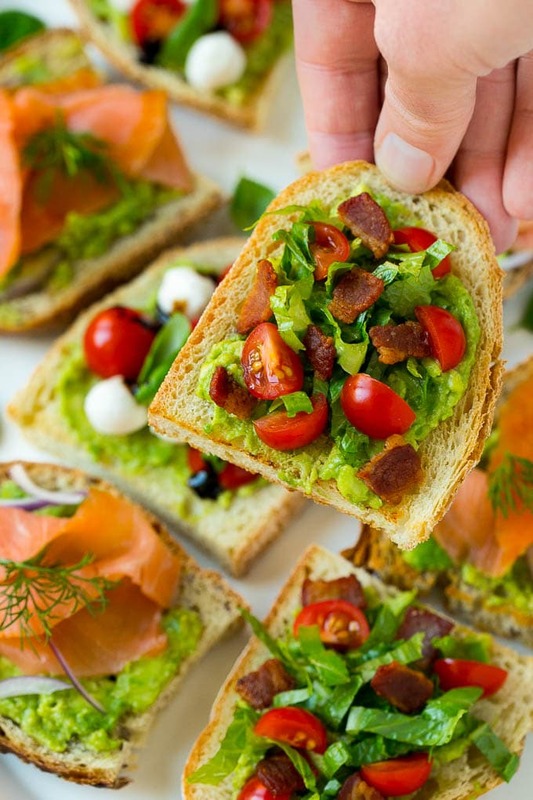 Fantastic photos and what great way to serve avocado toast to friends when they come over for brunch! I love the idea of adding smoked salmon, I have never thought of that before. Avocado on toast is my go to favourite for days when I ‘m at home with kids, quick easy & healthy. Avacado toast? I have never heard of it before and that’s weird because I love AVACADO. I want to try this. It looks so yummy. omg im deff saving these recipes, it all looks SO yummy!! I’ve never been a huge fan of avocados, but these extra toppings actually make my mouth water. I may want to try one of these out. It looks so healthy and yummy! I wou5love to prepare this recipe for my husband, he is such a health conscious. 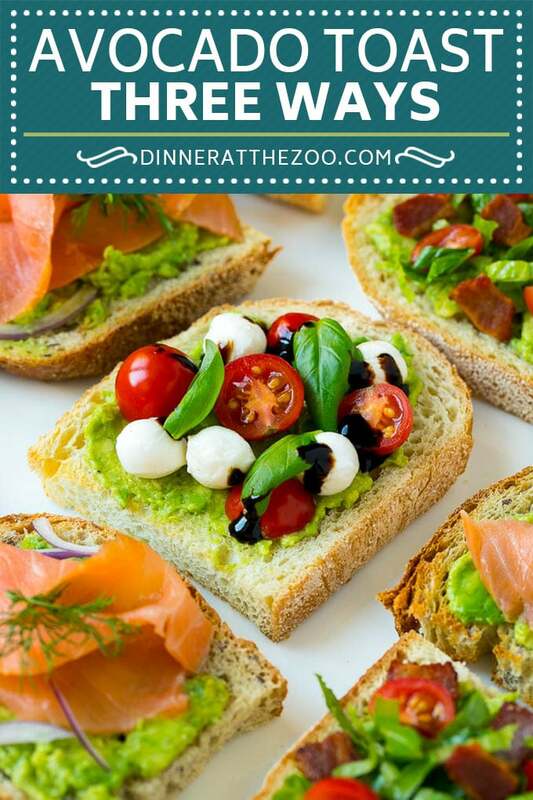 I just love avocado toast and these are great ideas! Sourdough bread looks so yummy! I am just a huge fan of avocado toast. Love both the BLT and smoked salmon options here. Great ideas! I love all of these! I love to start the day with avocado toast if I can. It’s so good, and it’s so healthy.